You awake in a cell with your memories gone to find you’ve been sentenced to death by the cruel Count D’Morten. Luckily, a masked stranger has other plans, and with his help, you manage to escape your prison. 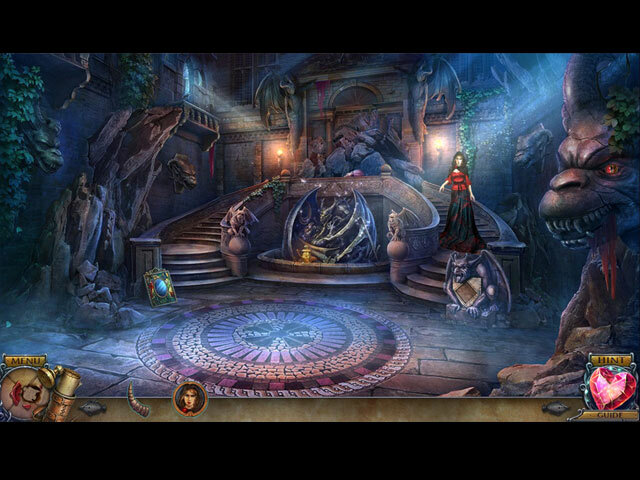 Armed with a magical amulet that can turn back time, you must now find a way to restore your memories and save your true love from a tragic fate in this heart-pounding Hidden-Object Puzzle Adventure! Journey to another world to save a loved one in the bonus game. 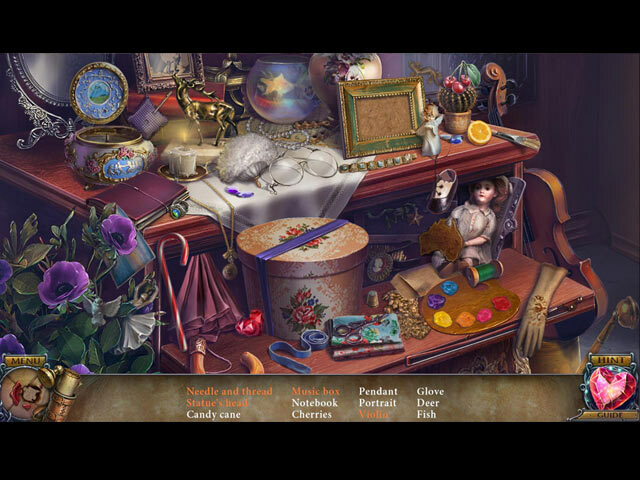 Find hidden morphing objects and collectibles! Includes a comprehensive strategy guide. Soundtrack, wallpapers, concept art, and more! 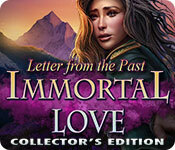 Immortal Love: Letter From The Past Collector's Edition is rated 4.0 out of 5 by 39. Rated 5 out of 5 by expotanne from Fantastic game! I was lucky enough to Beta the sequel and enjoyed it that much I went straight online and purchased this one. It is not 'connected' to the upcoming sequel in any way that I can tell - so please don't feel you have to play this to enjoy the soon to be released new one. That said - this game was so much fun that I just couldn't turn it off. Even the bonus game was great fun and long too. There are quite a few collectibles (and most unusually at the end of the game if you don't have them all, you can continue to play until you find them! I was missing two and will admit to using the Strategy Guide to work out which two it was, sorry) The graphics are great, the puzzles were fun without being too mind-bendingly hard or mind-numblingly easy.. Anyway, I'm gonna leave it there because others have reviewed it better than me - simply put - I highly recommend this game. Rated 5 out of 5 by Italia47 from Have you lost what you are searching for? Ah, D'Morten, was it all worth it? I'm Here is one of the tunes that was written for this game. Really cool. What a journey that was! Very intriguing storyline, one we've heard of before, I'm sure, but to rob the souls of innocent women for one's own gain is criminal in more ways than one. Although D'Morten felt his actions were valid was it really love or obsession, oppression and possession all because of his love for Adele. The gameplay was inviting and truly exciting. I loved this game. The HOS were varied and interactive and some of which were that you had to match opposites. A few of the items were hard to determine, small and hidden very well but if you can stick it out without using hints, you're all the better for it. Some of the mini-games were easy and there were a few that were challenging. You had a mix. I collected all 20 portraits and only 19 of the 21 morphing objects. You can go back to find them but I was too caught up in the game as usual. I played the entire CE version. Loved the Bonus Game equally as well as the Main Game. Lots of tasks to complete and for the better part made a lot of sense. The game-flow was right on. Just the way I like it. Big Fish Games/4 Friends Games, bravo! I'm giving this game a 5-star regardless of some of the quirks in the game. The music was exceptional. I didn't expect any vocals but was pleasantly surprised by a woman singing I'm Here! If you wish you can save the whole soundtrack to your computer. I also liked Lost Memories. The songs as with any other game are repetitious but very pleasing to the ear. The artwork was stunning. The voiceovers were superb. The cut scenes were great. Sound effects were awesome. Completing all the tasks were wonderful; at times though if you didn't have the mouse on the right spot, you'd have to click over and over again to accomplish it. Just one of the quirks of the game. I highly recommend this game and by the way I don't think this is just a Chick's game at all. It's great for the guys as well. Again, Big Fish, you did good on this one! Rated 5 out of 5 by dandelion87 from Love never gives up! Hello everyone! English isn’t my first language, so please excuse any mistakes. It's my first try to write the review. I'll be brief. I love this game. It's caught me from the first scene. Game play is understandable and fun; I like the amulet of time. The art is beautiful and clear. Music is great. Puzzles are easy, but fun. HO's are nice and clear. Characters are intresting and realistic. I recomend this game. Thanks, developers! Merry Christmas to you and your family! Rated 5 out of 5 by Dawg_Mama2 from A Great Game For Grownups I really enjoyed every minute of this game. While not all the extra puzzles appealed, the main game was a winner. The art was excellent. Rated 5 out of 5 by snapnhiss from Very immersive Beautiful graphics, very good voice acting, interesting plot and fun game play. The bonus game was very well done too. One of the best games I've played lately. Rated 5 out of 5 by torga from Love, Love This Game Not all that far into the game, others have written about it, so, I'll just say that this is one awesome game that has it all, I'd give it a ten star rating if I could. Hogs are a little different, puzzles are good, map is good, it's just a fantastic game, in every way. Rated 5 out of 5 by smilingsun72 from Love that Evil cannot Conquer! I really liked this game. Though it is good vs. evil, it was not dark and dismal like a lot of games have been recently. The story was a great plot of romance, deceit, and murder. The music fit the beautiful scenes. I liked the twist of be able to travel back a few seconds to correct a mistake. 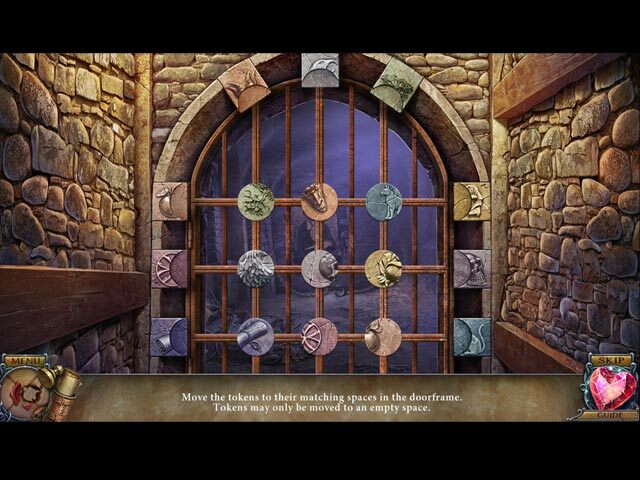 The puzzles blended will with the story and game. I can say I liked the bonus chapter because it picked up where the main story left off, which a lot don't do. It was nice to play the part of man rescuing his love instead of the other way around. I can say I am really glad I bought the CE because the bonus content was actually well balanced for a change. Rated 5 out of 5 by ethan1404 from Oooohhh! Lovely! I actually enjoyed this game ... beautiful graphics, ran smoothly, good storyline ... a little "twee" for me but in saying that, did really enjoy it. HOPS were great as they were different most times, hate the usual just looking for an object ... this had finding pairs, etc. so enjoyable. Puzzles were good ... some easy, some quite challenging but never unachievable. The game gave me no problems at all, moved quickly and along. and even incorporated stunning visual effects whereby we saw side-to-side screen shots as in Legends ... loved it!! When I saw the title, I thought ... on no, a Miss Marple perhaps?? But no .. this game is quality plus and whilst the storyline is of a magical genre, perhaps not for all ... for me it was so enjoyable. You have to find morphing objects ... I always cheat there as I don't have the patience to wait and see what changes, and you also have to find cameos ... now they were easy and great to find! I recommend this game, a definite buy and I believe you will not be disappointed.